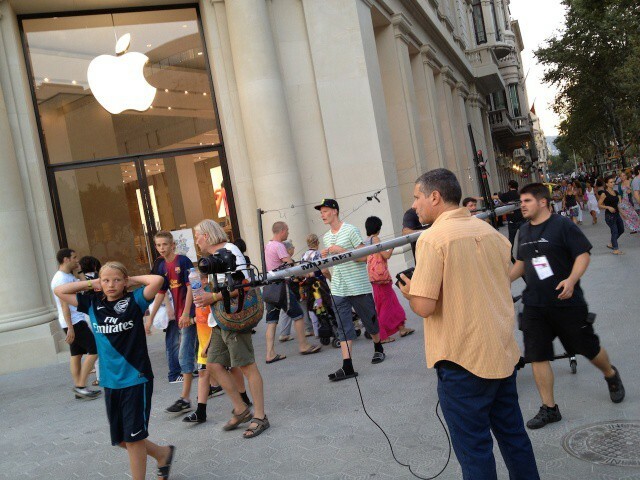 Reporting from Barcelona, Cult of Mac publisher Leander Kahney writes that Apple has taken down the barriers surrounding their new Barcelona retail store, giving locals and gawking sightseers their first look inside the new store. 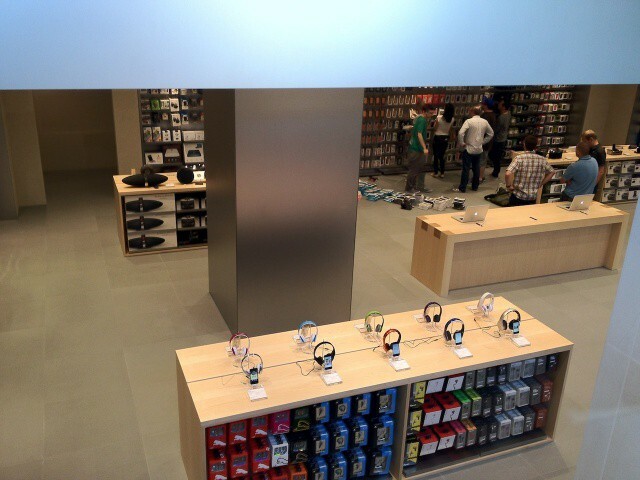 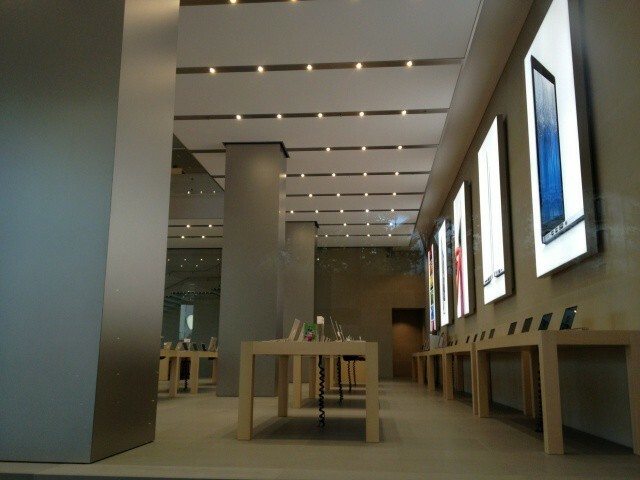 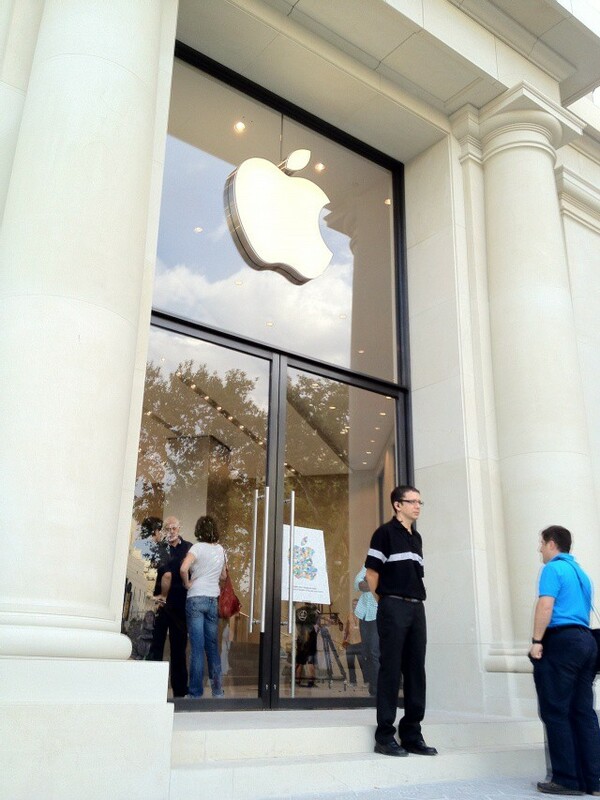 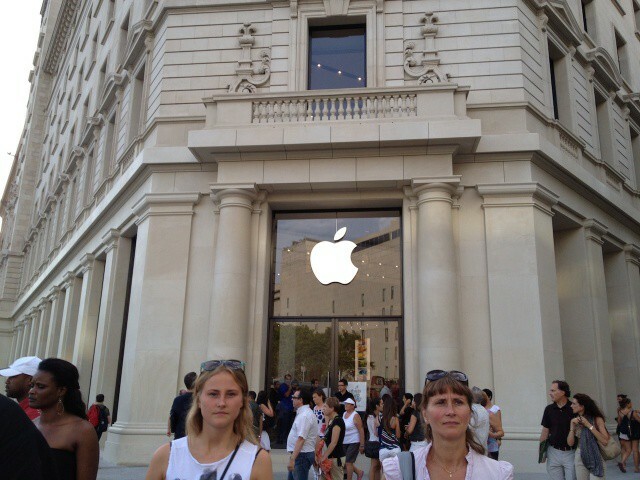 The Barcelona Apple Store follows many of the design conventions of Apple Stores in America and other countries in Europe. 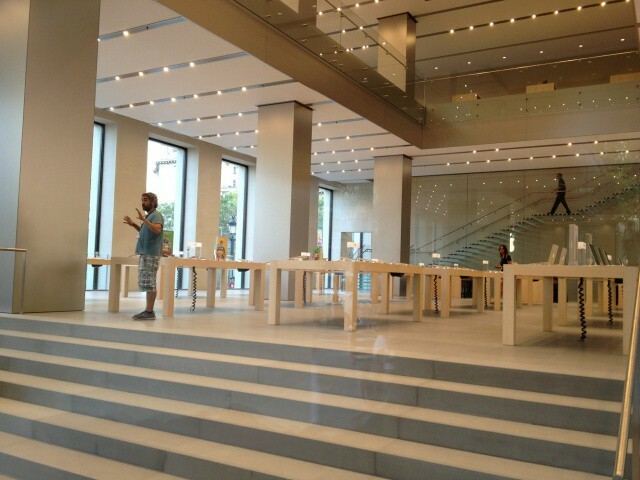 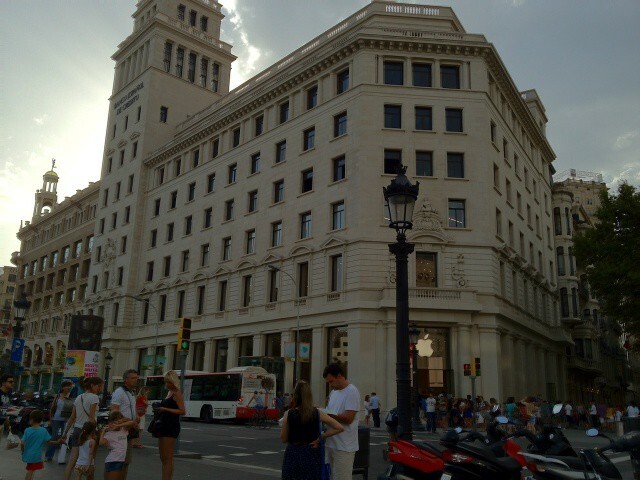 Located in a prime shopping district on the edge of the beautifully fountained Placa de Catalunya, the Barcelona Apple Store has three separate stories, each joined by Steve Jobs patented glass staircase. 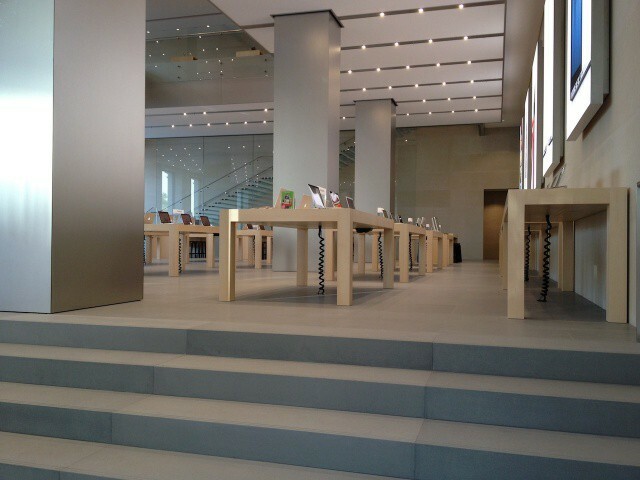 Despite rumors to the contrary, the interior of the Barcelona Apple Store has no overt nods to the Catalan Modernist architectural style for which Barcelona is known. 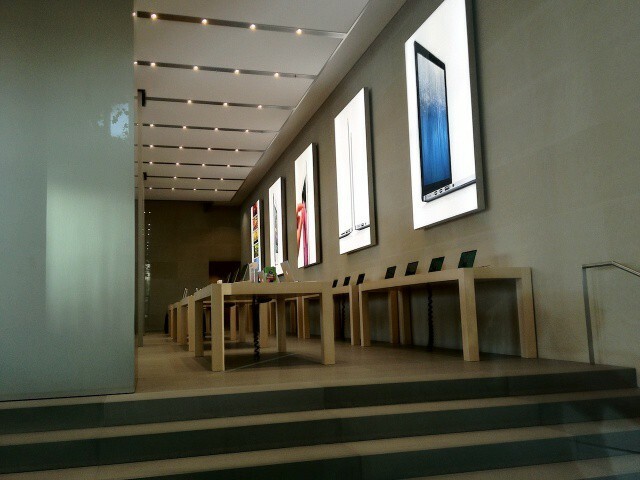 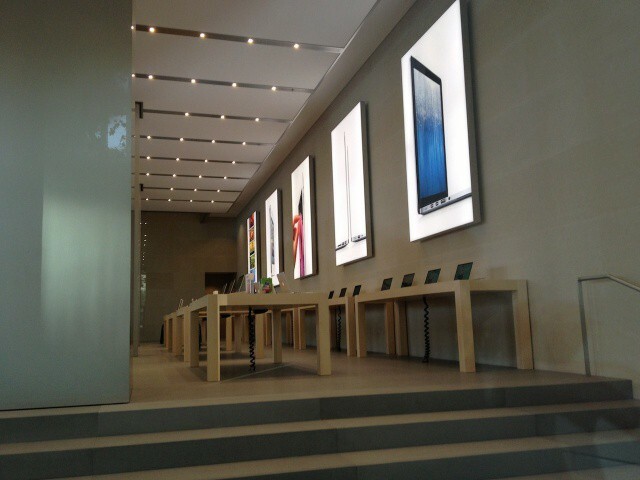 Instead, the inside of the Barcelona Apple Store is typical Apple, with the only exception being a series of nice, big illuminated panels on the back walls showing off Apple’s products, which are done in a very high style. 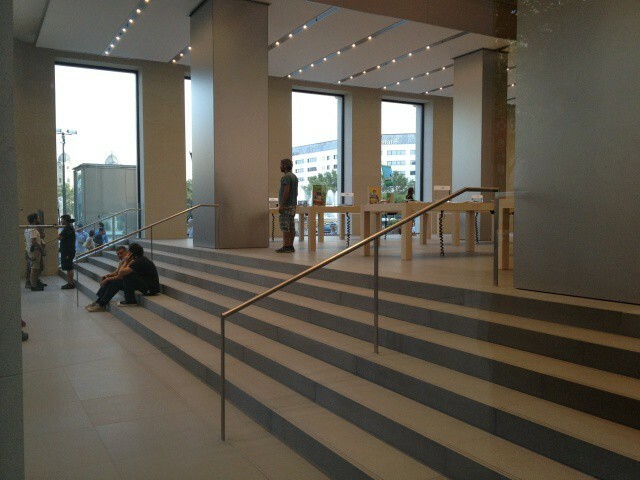 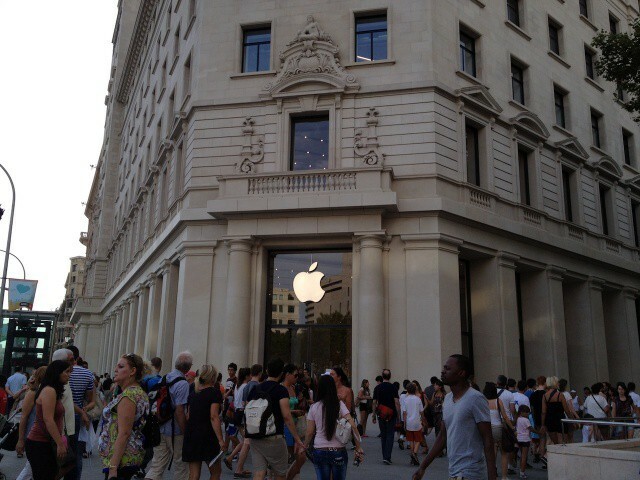 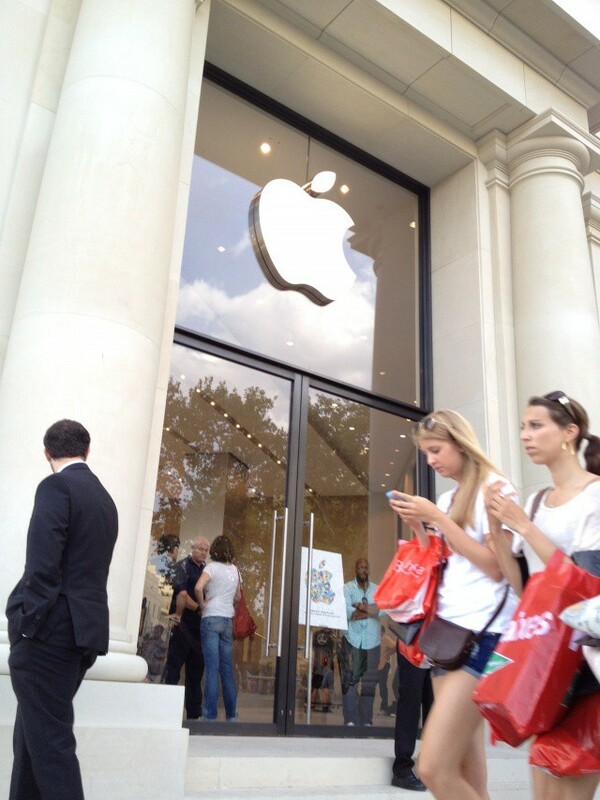 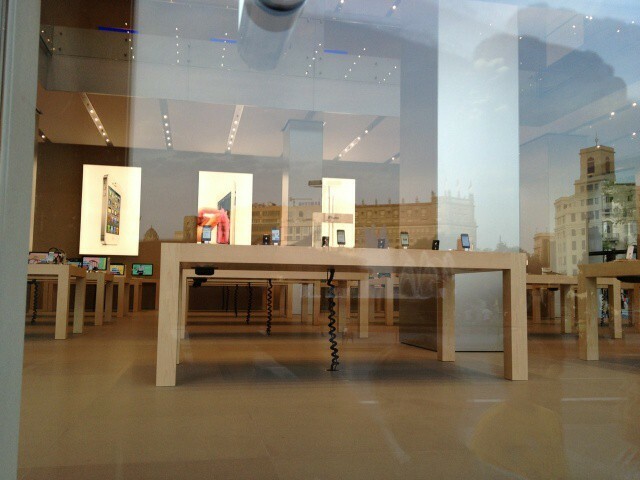 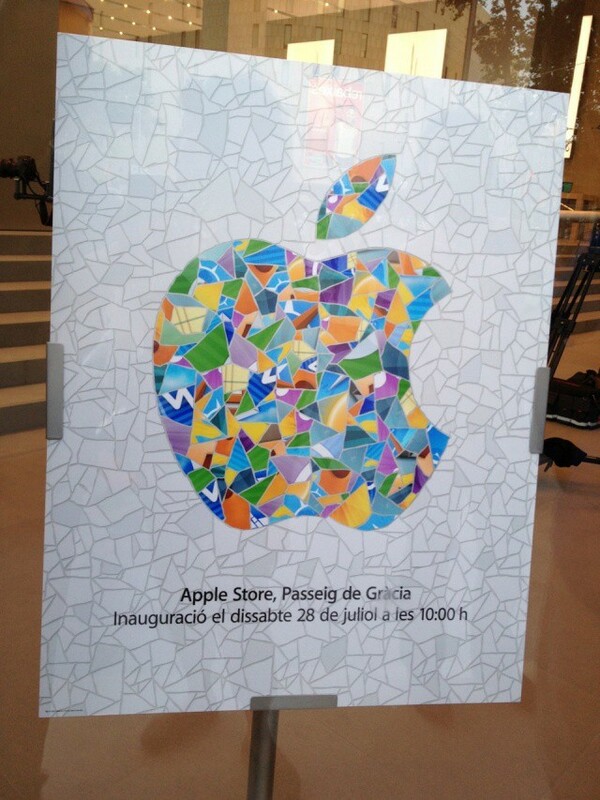 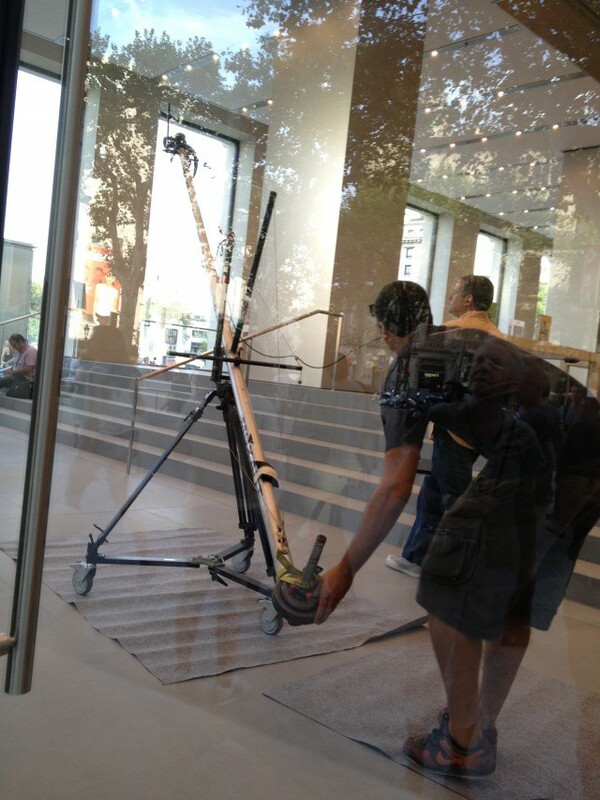 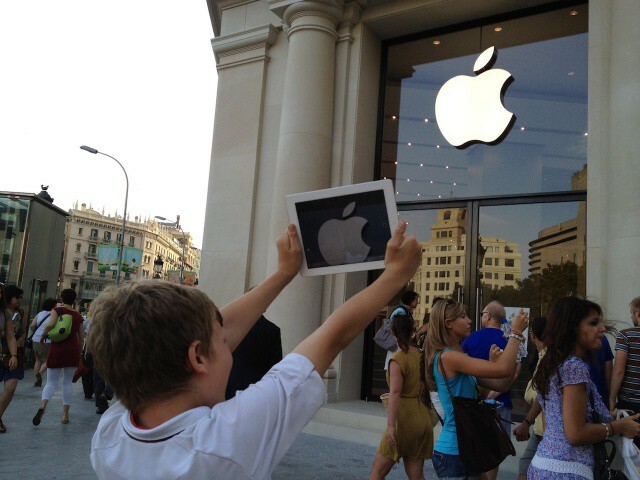 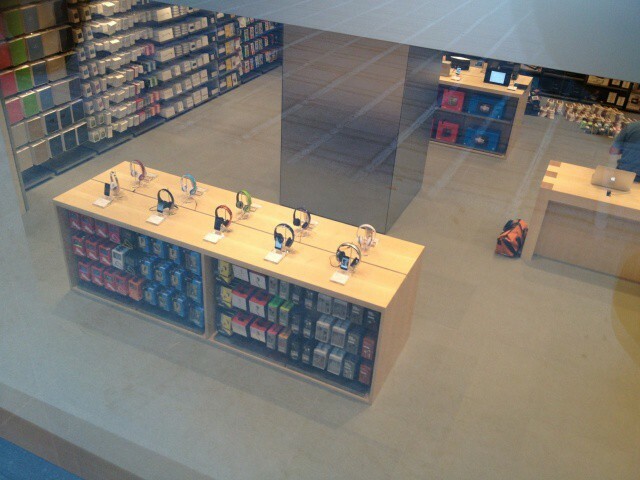 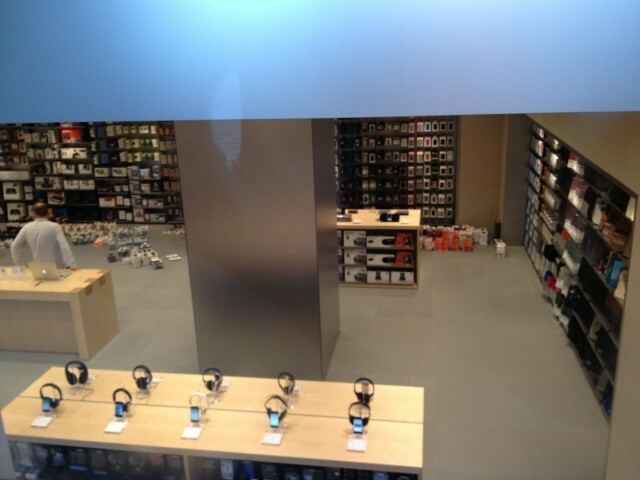 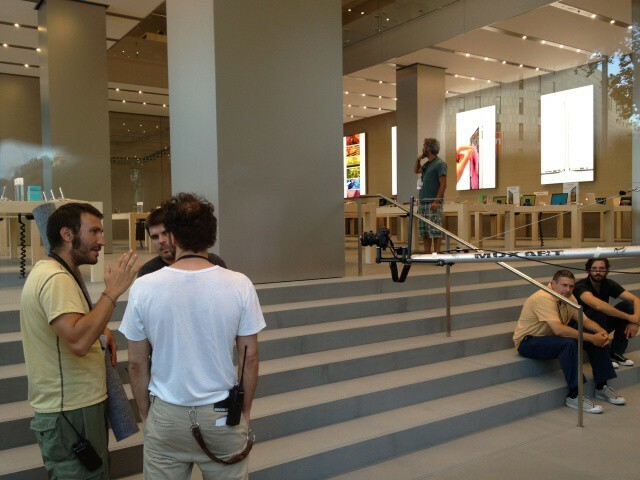 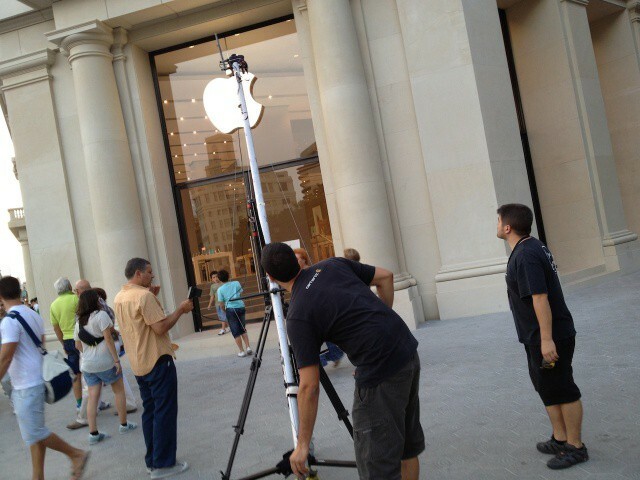 The Barcelona Apple Store is not officially opened for business quite yet. 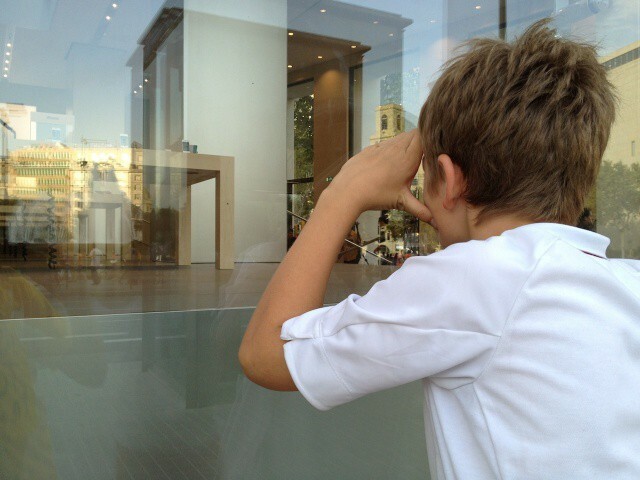 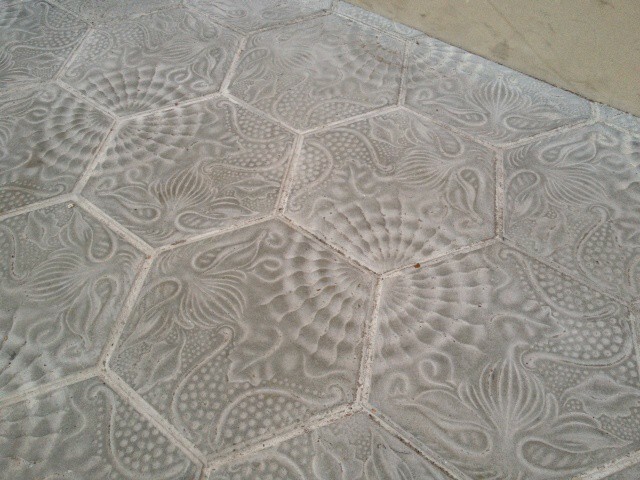 It opens its doors to the public for the first time on Saturday July 28 at 10am.